FLD facilitates programs to promote physical and spiritual development, providing training based on topics needed by the communities we serve which include physical and spiritual/moral topics, natural agriculture, disease prevention, and the Gospel. Our team includes Jom Mangmi, Ree Mangmi, Bethany Scott, and Soi and Mo Swe. Bethany is from Indiana. She graduated from the University of Evansville with a degree in Biology and minor in Religion, then joined Youth With A Mission (YWAM) in 1999. Through YWAM-affiliated University of the Nations, Bethany trained in community development and earned a Master diploma in International Health in 2001. Her studies included field assignments and internships in the Philippines, Thailand, and Cambodia. Bethany will complete her Master of Divinity degree at Christian Theological Seminary in May 2017. Bethany lived in Thailand from 2003-2012. In 2005 she co-founded Full Life Development. Now based in the U.S., Bethany continues as director, giving oversight to the vision, sustainability, and resources for FLD. 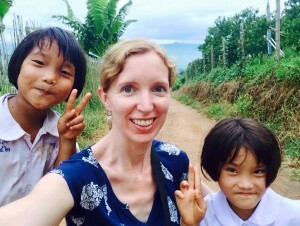 She regularly communicates with the FLD team and partners in Thailand, and works with the Board of Directors, partner churches and supporters in Indiana. Sompong, nicknamed Jom, joined the Full Life Development team in July 2008. Jom is ethnic Shan with Thai citizenship. He is originally from Burma, came into Thailand as a teenager and grew up at a Christian children's home in the same district where he now serves. 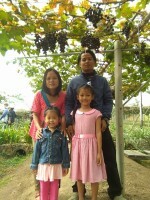 Jom is FLD's team and ministry leader in Thailand. 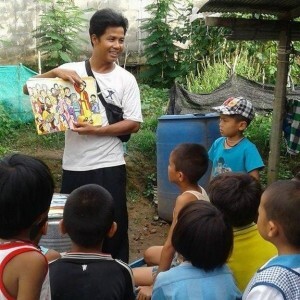 He leads Kids' Clubs, engages in evangelism, leading worship, teaching in cell groups and communities, and is also an assistant pastor at the Shan church he co-founded with which FLD partners. On a given day he may also be taking a kid from the orchards to the doctor or a group to play soccer, too. Jom married Ree in November 2008. They have two daughters, Lydia was born in May 2010 and Sairun in April 2013. Ree met Jom at Bible college in Chiang Mai. She joined the FLD team when she married Jom in November 2009. She currently serves part-time, helping with preparation, facilitation, and reporting of FLD programs. Ree is mother to Lydia and Sai Run. Soi and Mo first met the FLD team when they participated in FLD's training program at the brick factory where they live and work. They chose to accept and follow Christ about seven years ago. 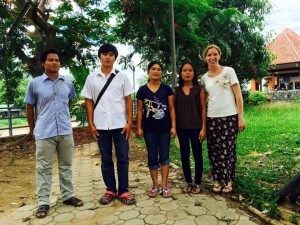 They serve as volunteers in the Shan church and with FLD. They help lead the cell group at the brick factory where they still live and work.